Our knowledge of cylinders and repair standards accumulated over many years have allowed us to develop a refined cylinder repair process. Here is a look at the end-to end process that makes Berendsen Fluid Power a cylinder repair facility trusted by Australian industry. 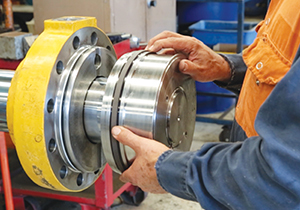 Our facilities feature heavy overhead cranes and special purpose disassembly equipment including hydraulic nut tensioning devices to handle very long, large bore cylinders. 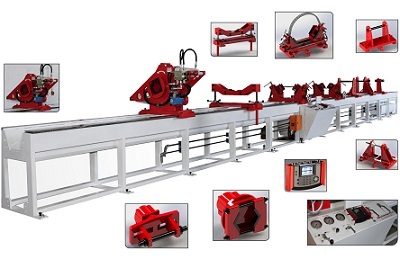 Our special purpose cylinder disassembly benches can accommodate cylinders up to 12,000mm in length and 600mm bore and can develop up to 90,000Nm nut tensioning torque and 20 tonne pull apart force. Cylinder condition is evaluated down to the micrometre through digital and manual measuring and testing equipment to assess tolerances, bore concentricity, rod straightness, crack detection, chrome hardness and thickness, and surface finish. Our extensive experience in cylinder failure diagnosis enables us to identify the underlying cause of wear or catastrophic failure. 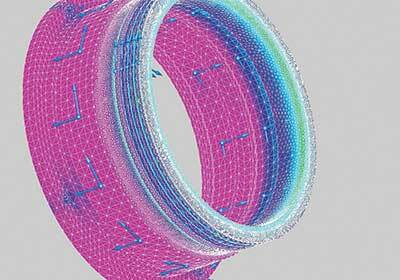 Through sophisticated simulation software, our in-house engineering department is capable of analysing stress concentrations in cylinder components to determine whether the material and component design is optimal for the application. Berendsen’s in-house engineers can then redesign components to significantly improve the reliability and longevity of cylinder components. New designs are tested and verified by computer simulation prior to manufacture, ensuring the long-term performance of every component. 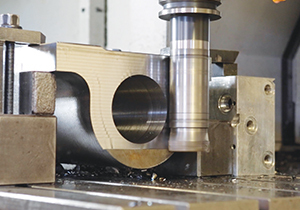 Where original spare parts are not readily available Berendsen employs high-speed CNC machines and other devices to rapidly manufacture cylinder components in-house at our ISO 9001 certified manufacturing facility. Our engineering department utilises CAD design to ensure all manufacturing details conform to specifications and we have an extensive library of component designs for a wide range of equipment types. In addition, our close working relationship with seal manufacturer Hallite gives us access to a complete range of high quality standard seals. 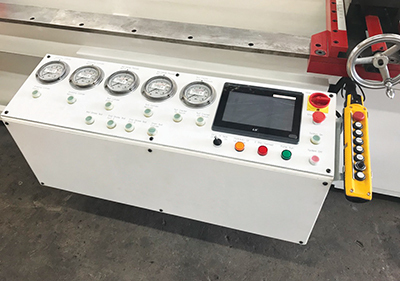 Where required, Hallite will design and machine seals to our exact specifications immediately, from a wide range of materials. 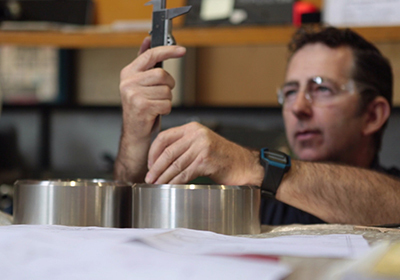 Our knowledge of OEM specs and cylinder tolerances gives us the ability to accurately assess those parts that may be reused or reconditioned, and those that must be re-manufactured. 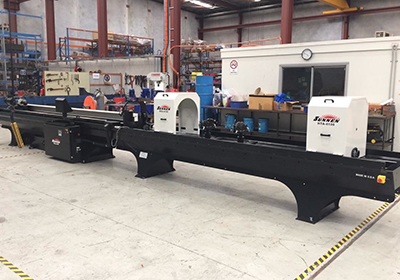 Berendsen has the equipment and expertise on site to perform all machining operations to properly recondition cylinder components. Where possible, we may reclaim worn surfaces through welding processes utilising specialised jigs and rotators. 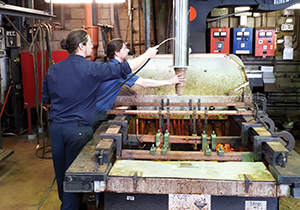 Depending on customer requirements, piston rods are reconditioned by applying a range of surface treatments to restore or improve the wear resistance and corrosion resistance of the rod. These include chrome plating, nickel plating, thermal spraying, laser cladding, and heat treatments. Occasionally cylinder bores are also chrome plated for added corrosion and wear resistance. 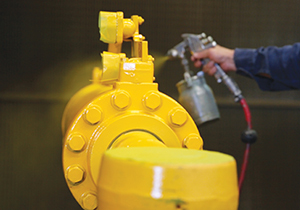 Our industry specific experience in longwall mining, heavy mobile equipment, mineral processing and manufacturing applications, combined with in-depth knowledge of precise cylinder assembly procedures, special purpose cylinder assembly benches and calibrated nut tensioning tools, ensure correct torque specifications are achieved. Our facilities are equipped to test cylinders using a range of fluid mediums, including mineral oil, water glycol and solcenic fluid. Our testing facilities have the capacity to verify cylinder performance up to 600 bar static pressure. Berendsen is also capable of developing customer-specific testing procedures to verify cylinder performance under specified conditions, such as induced loads, using purpose-built cylinder test frames. Cylinders are primed, painted, packaged and finished to customer requirements in our in-house paint shops.